Henry Holt and Co., 9781250109163, 208pp. Her life at a crossroads, a young woman goes home again in this funny and inescapably moving debut from a wonderfully original new literary voice. Freshly disengaged from her fiancé and feeling that life has not turned out quite the way she planned, thirty-year-old Ruth quits her job, leaves town and arrives at her parents’ home to find that situation more complicated than she'd realized. Her father, a prominent history professor, is losing his memory and is only erratically lucid. Ruth’s mother, meanwhile, is lucidly erratic. But as Ruth's father’s condition intensifies, the comedy in her situation takes hold, gently transforming her all her grief. Told in captivating glimpses and drawn from a deep well of insight, humor, and unexpected tenderness, Goodbye, Vitamin pilots through the loss, love, and absurdity of finding one’s footing in this life. Rachel Khong grew up in Southern California and holds degrees from Yale University and the University of Florida. From 2011 to 2016, she was the managing editor then executive editor of Lucky Peach magazine. Her fiction and nonfiction have appeared in Tin House, Buzzfeed, Joyland, American Short Fiction, The San Francisco Chronicle, The Believer, and California Sunday. She lives in San Francisco. 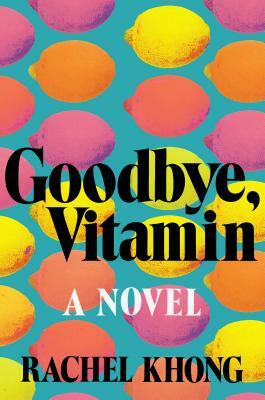 Goodbye, Vitamin is her first novel. BuzzFeed, "22 Exciting New Books You Need To Read This Summer"
Elle, "The 24 Best Books to Read This Summer"
Bustle, "29 New Fiction Books To Read This Summer"
Vanity Fair, "What to Read Right Now"
"Reading Goodbye, Vitamin. . . .is like tasting an entirely new flavor. At once gut-wrenching and deeply soothing." -Oprah.com, "2 Compulsively Readable Novels"
"Tragic and funny." —Entertainment Weekly, "23 Most Anticipated Books of 2017"
"The novel Goodbye,Vitamin builds with humor, with gusto and with such deceptive lightness that the reader wonders, at its devastating end, how in the world the debut author Rachel Khong managed to pull it off so beautifully. The only possible answer is this, that Khong is a magician, and that we are lucky to fall under her spell at the beginning of her brilliant writing life."